If you are looking for a church that still follows the Bible in a time when many simply excuse the Bible, come and visit. If you are looking for a church that places conviction over culture, come and visit. If you are looking for a church that is family and ministry centered, come and visit. 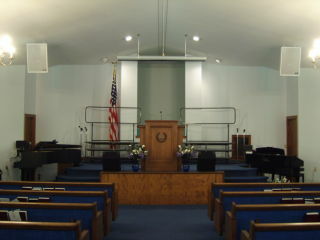 If you are looking for Bible preaching, come and visit. Although CIBC may be considered 'Old-Fashioned,' it is our desire to follow the Bible and our Lord Jesus Christ. The Bible admonishes the saved in Galatians 1:10 to seek to please the Lord and not man: 'For do I now persuade men, or God? or do I seek to please men? for if I yet pleased men, I should not be the servant of Christ.' Are you seeking to please men or God? Are you searching for the truth? Come and visit! Seek the Lord while He may be found.